Chilled soup has got to be one of the best ways to survive a hot New York summer. I love to make gazpacho when I have an excess of tomatoes but recently I’ve been experimenting with some different chilled soups. I always thought chilled soups should be tomato based so working with zucchini, celery and a few other ingredients actually surprised me. 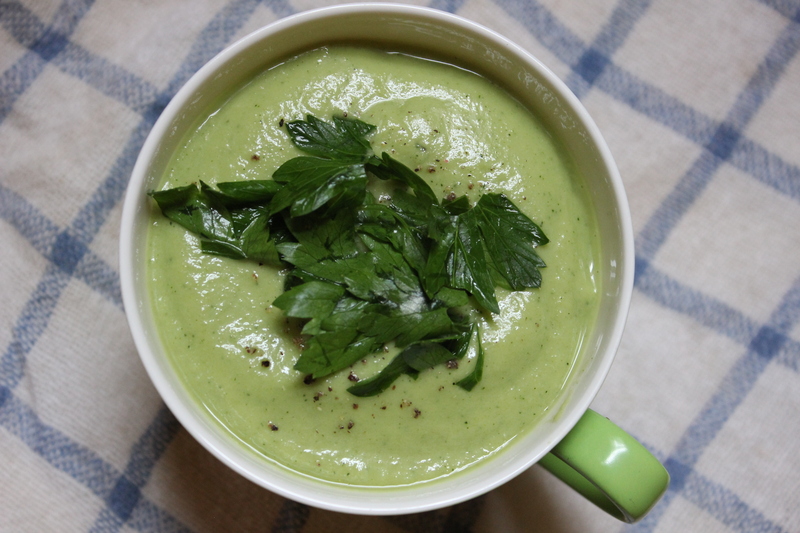 This zucchini soup is light in flavor, delicate and so cooling. Cleansing and delicious, it’s a perfect way to use up some of your excess zucchini and mix in other ingredients. I love to include this soup as part of my summer detox and it gets rave reviews every time! Prepare all the ingredients and put them in a blender. Chill in the refrigerator for 30 minutes and serve with chopped basil or parsley as a garnish.